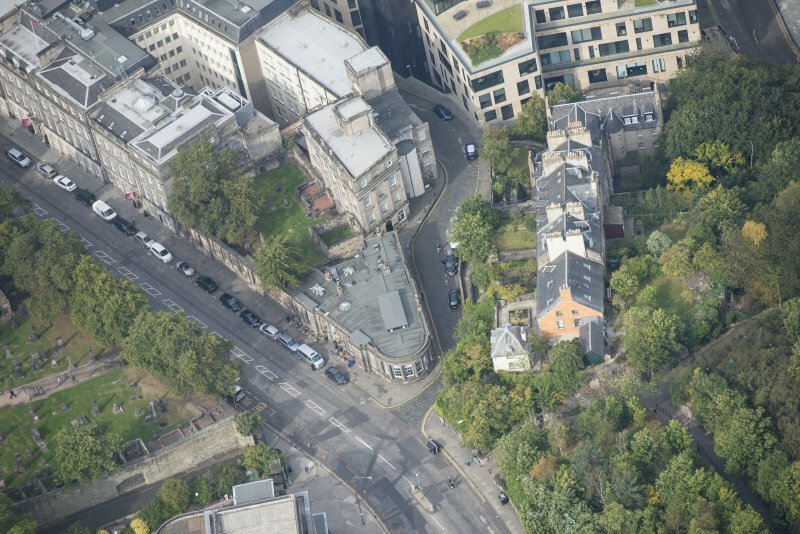 Oblique aerial view of Waterloo Place, Dugald Stewart's Monument and Old Calton Burial Ground, looking WSW. 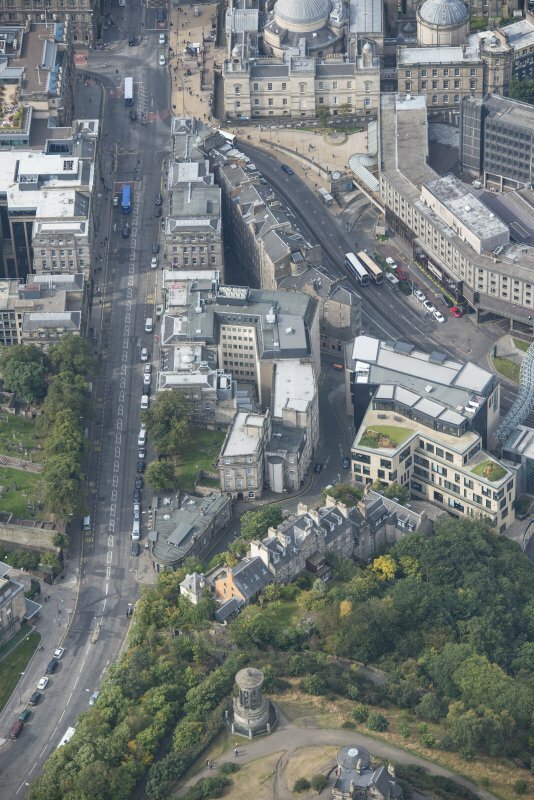 Oblique aerial view of Waterloo Place and Old Calton Burial Ground, looking NW. 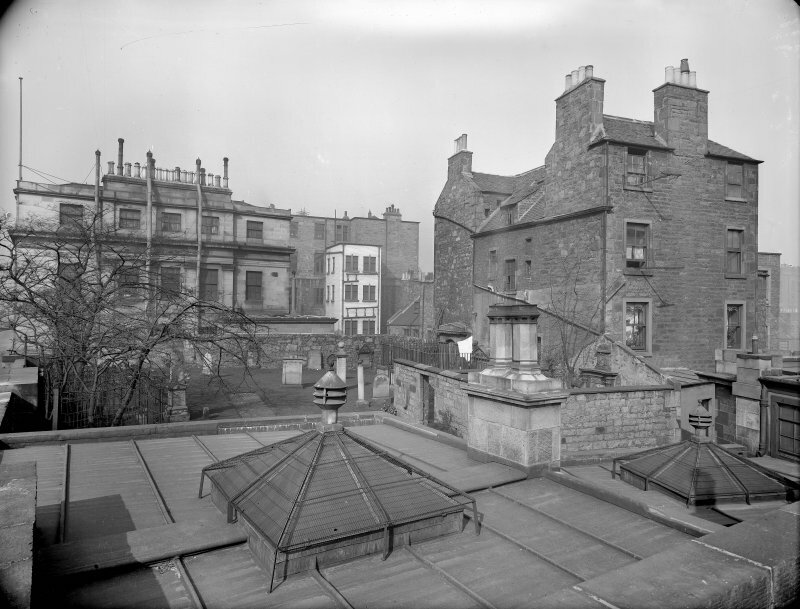 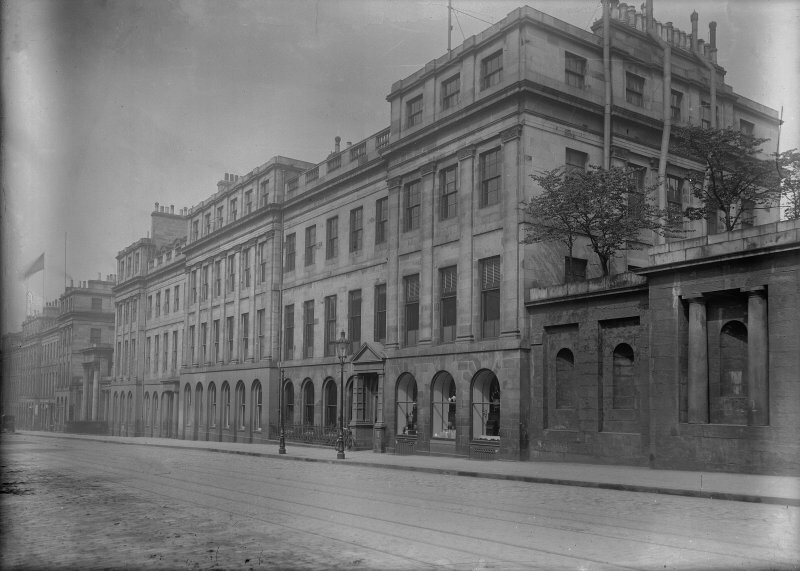 General view of street elevation, 25 Waterloo Place, Edinburgh. 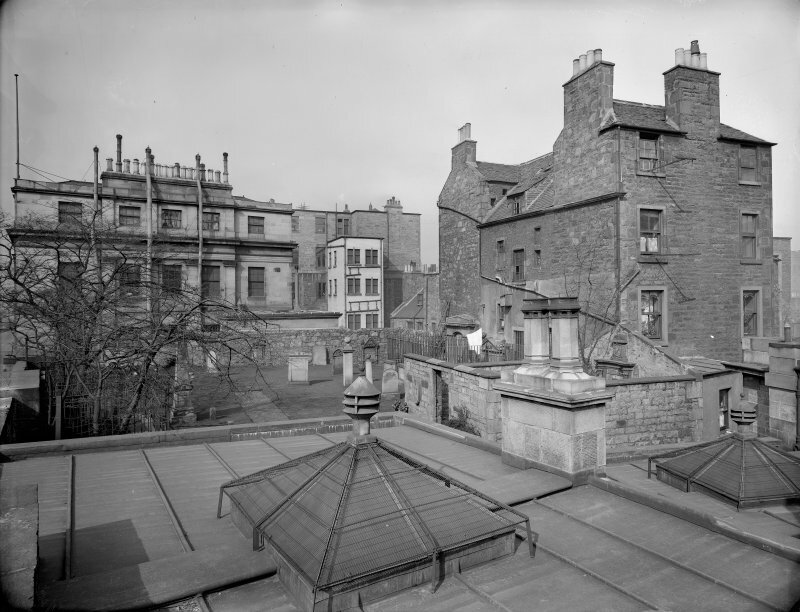 View of south elevation, 25 Waterloo Place, Edinburgh. 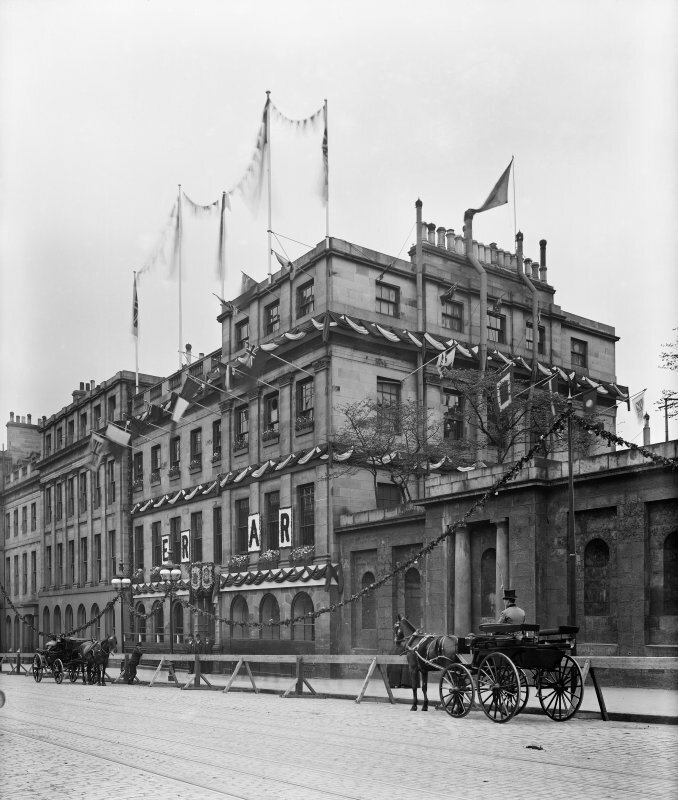 South elevation of Gas "Commissioners" Offices decorated for the coronation of George V, 25 Waterloo Place, Edinburgh. 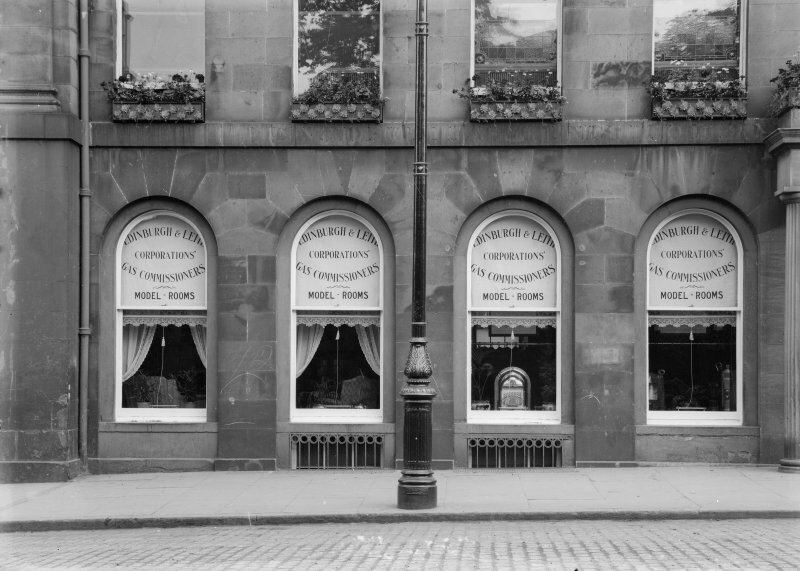 25 Waterloo Place. 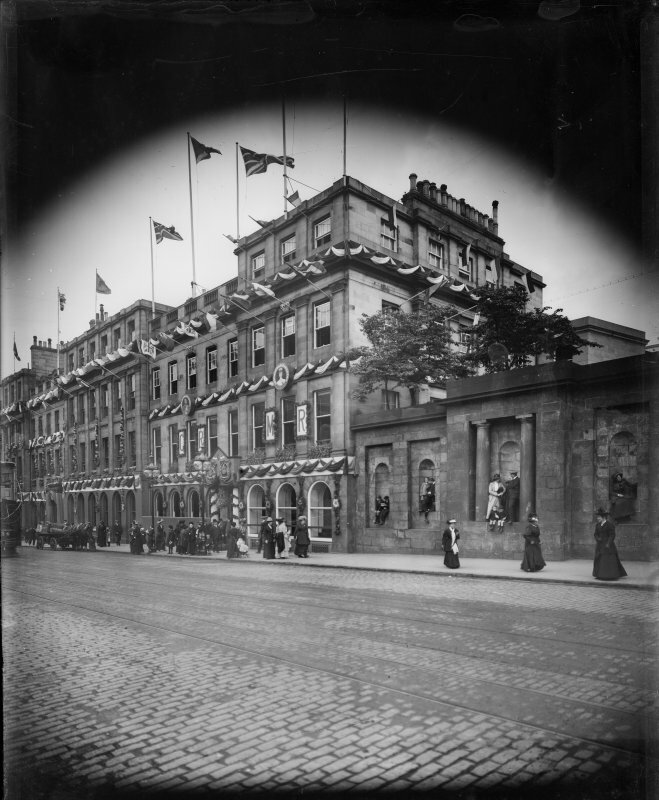 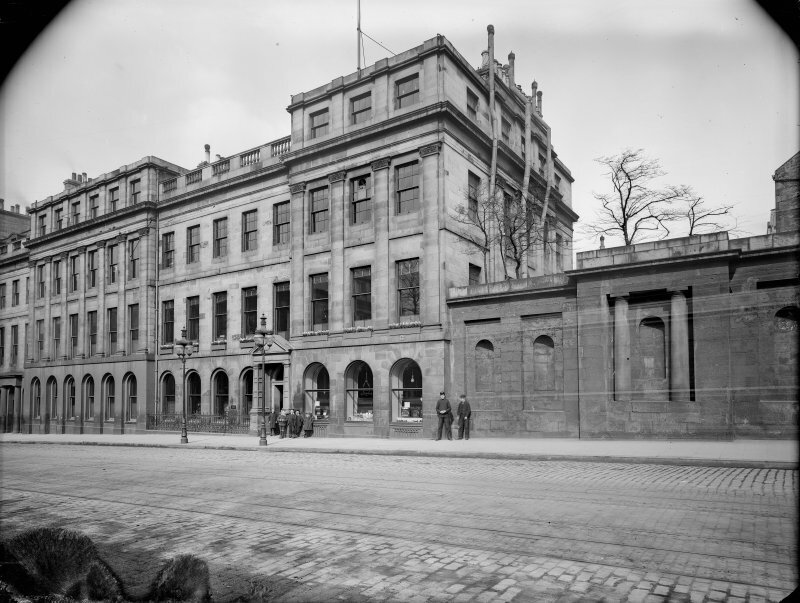 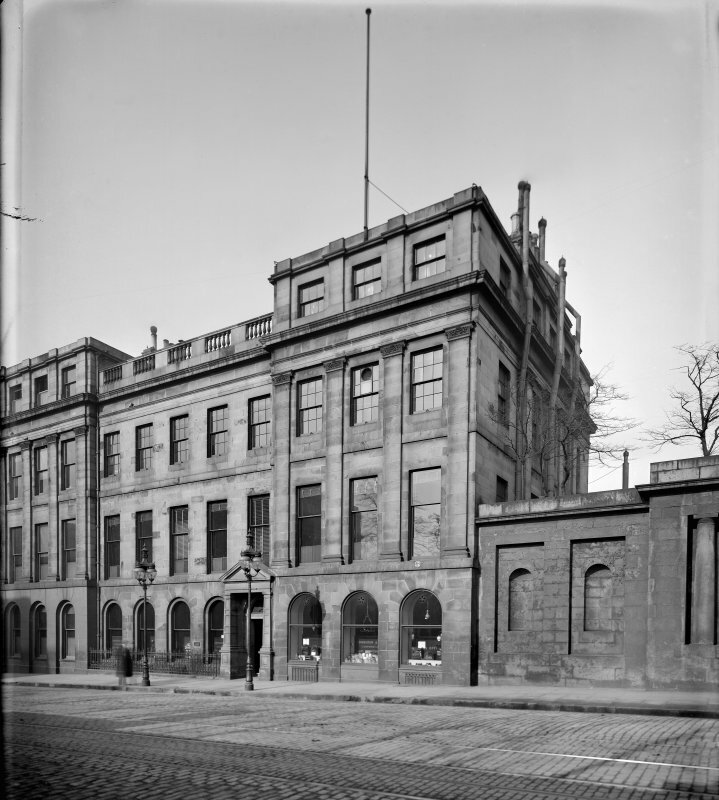 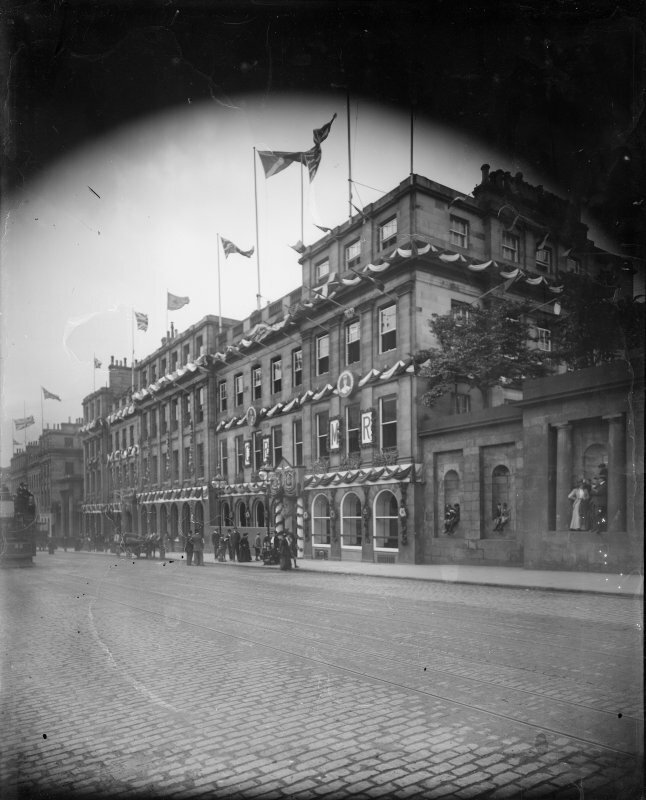 View of South Elevation Gas Commissioners offices decorated for coronation of King Edward VII. 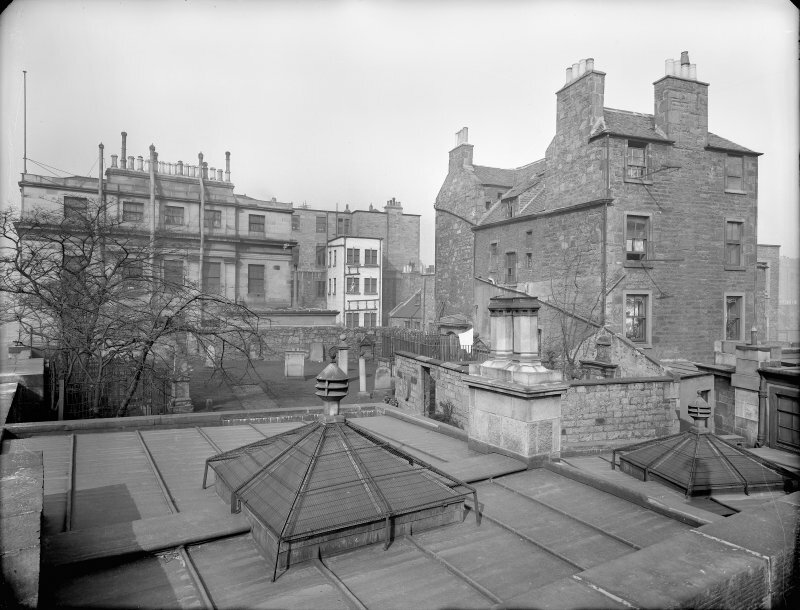 General view of 25 Waterloo Place, Edinburgh, from South East. 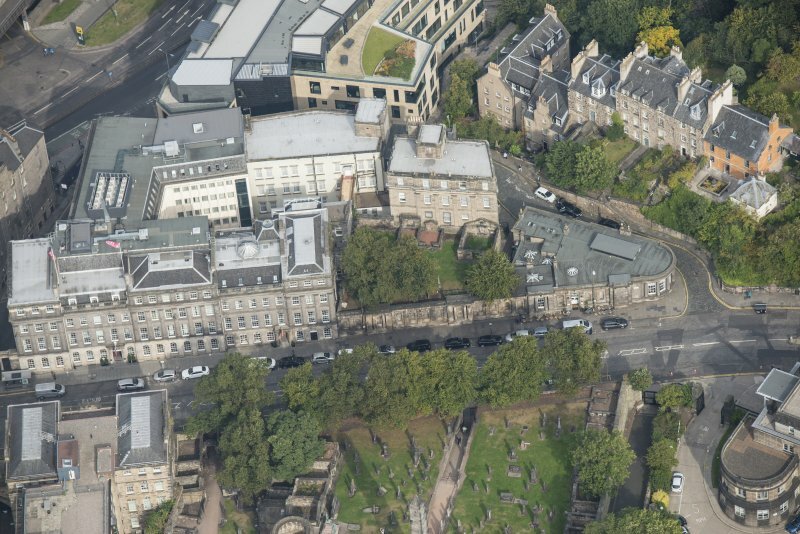 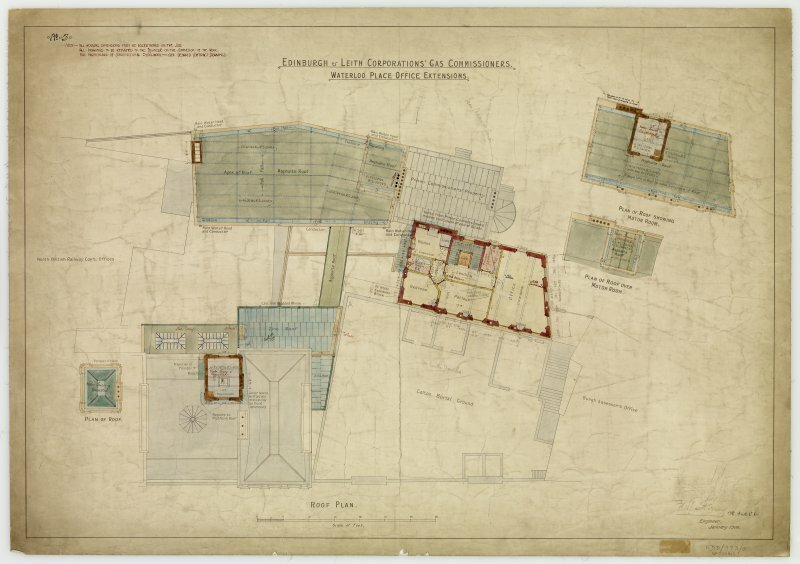 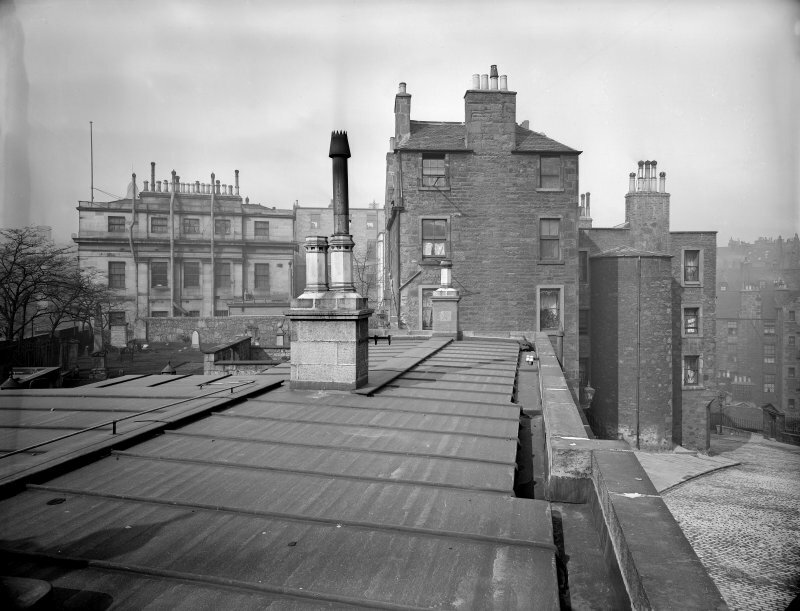 Oblique aerial view of 23 - 29 Waterloo Place, Waterloo Place and Old Calton Burial Ground, looking N.
Detail of ground floor windows showing model rooms for the Edinburgh and Leith Corporations Gas Commissioners, 25 Waterloo Place, Edinburgh. 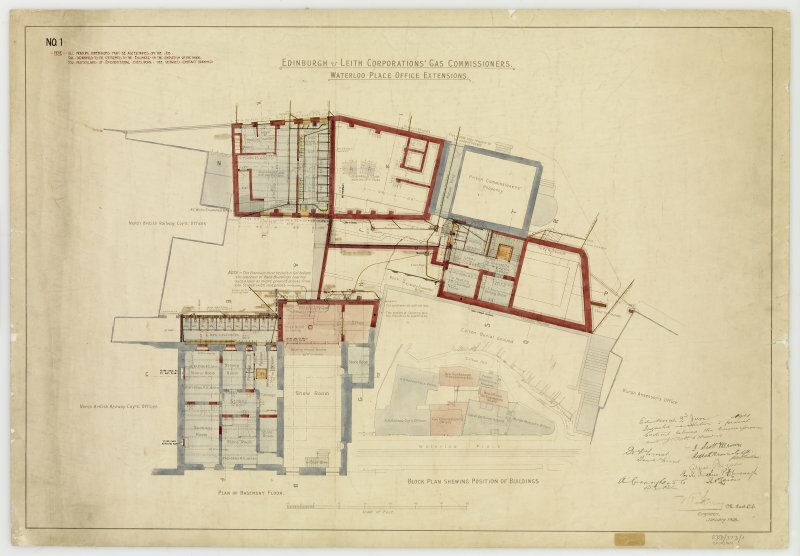 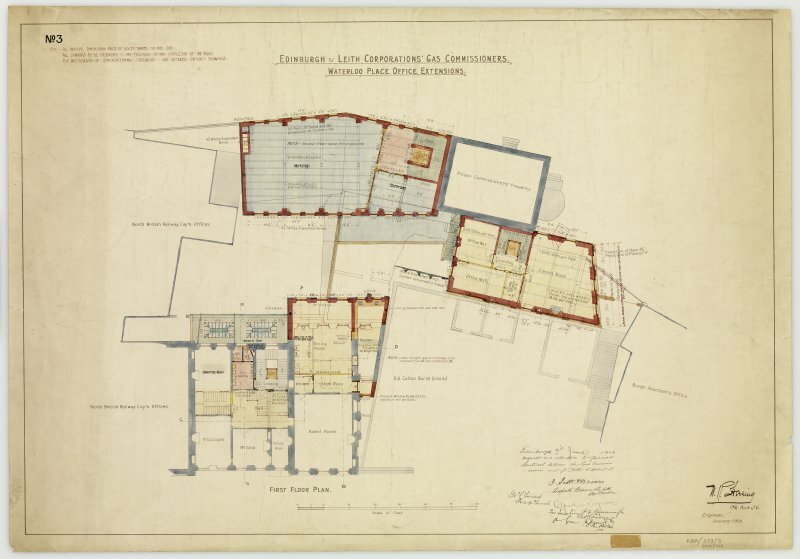 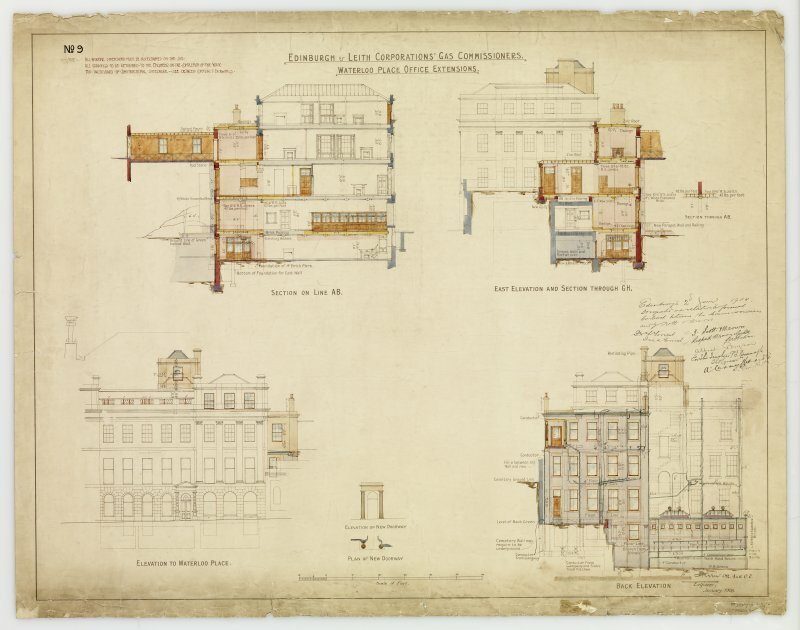 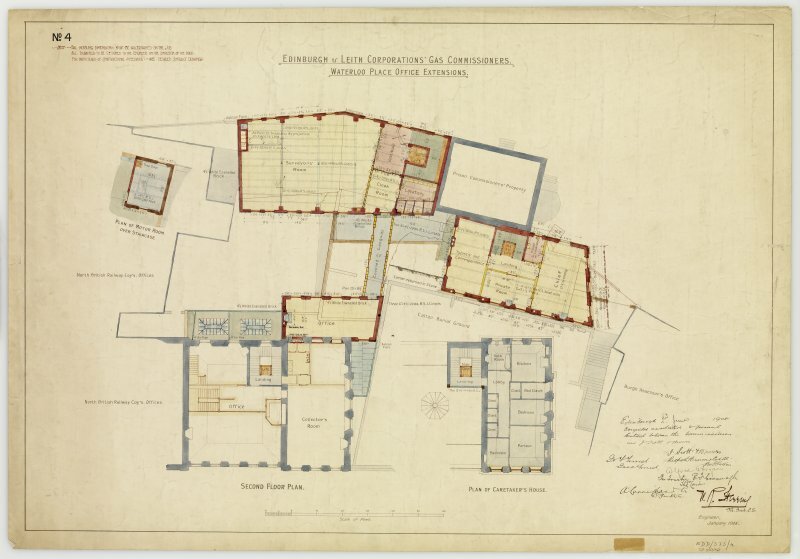 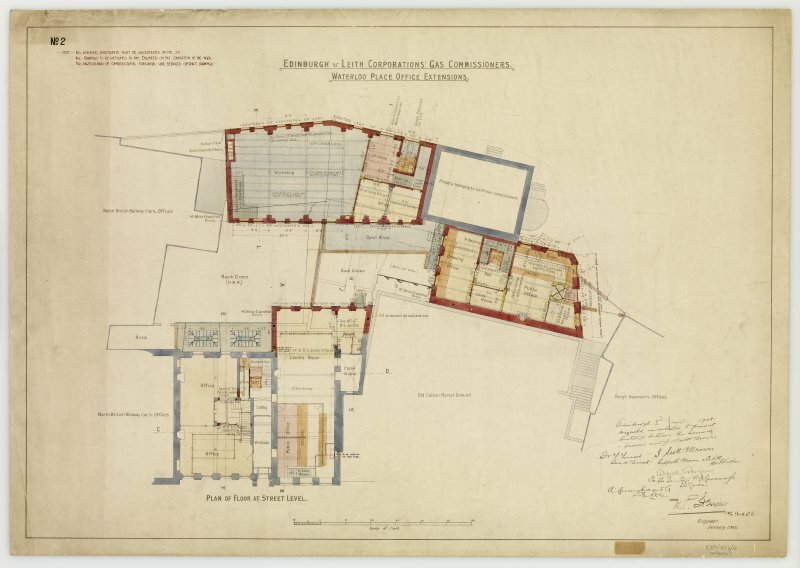 ARCHITECT: W R Fleming (engineer) 1908 (alterations for Gas commissioners).